Cook the potatoes (uncovered) along with the thyme and garlic in boiling salted water for approx. 20 mins. until soft, drain, remove the thyme. Add the oil and water. 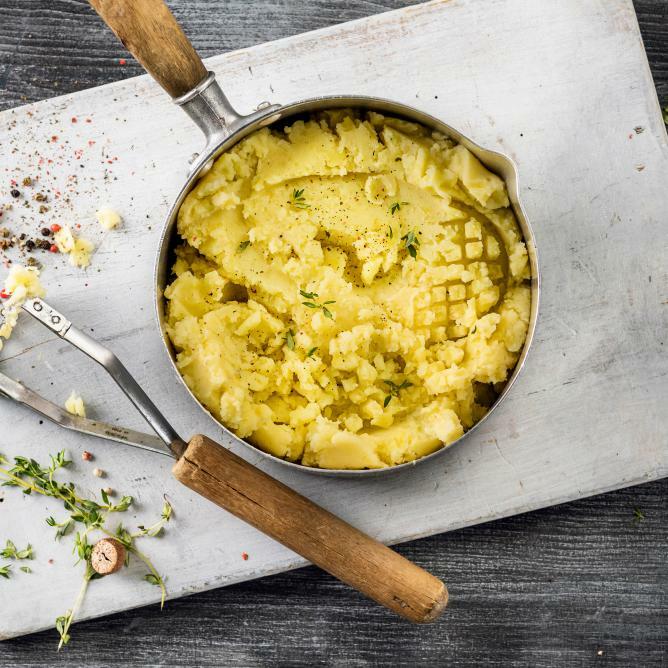 Mash the potatoes with a potato masher or fork, season.